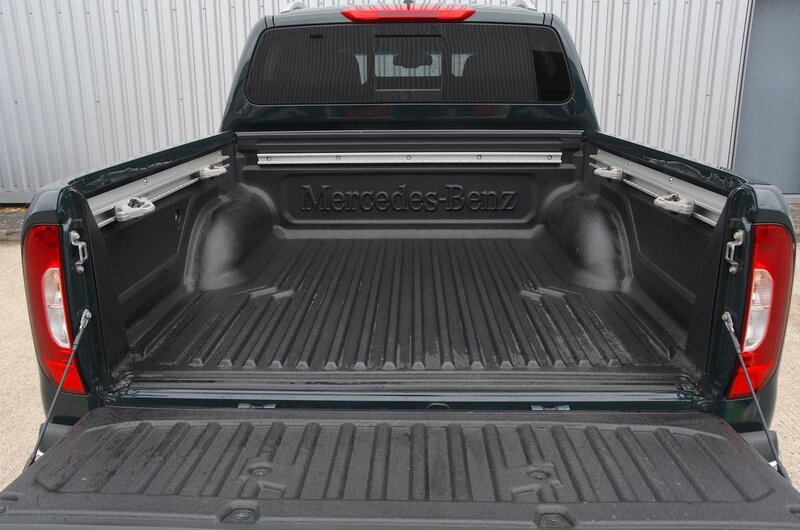 Mercedes-Benz X-Class Boot Space, Size, Seats | What Car? 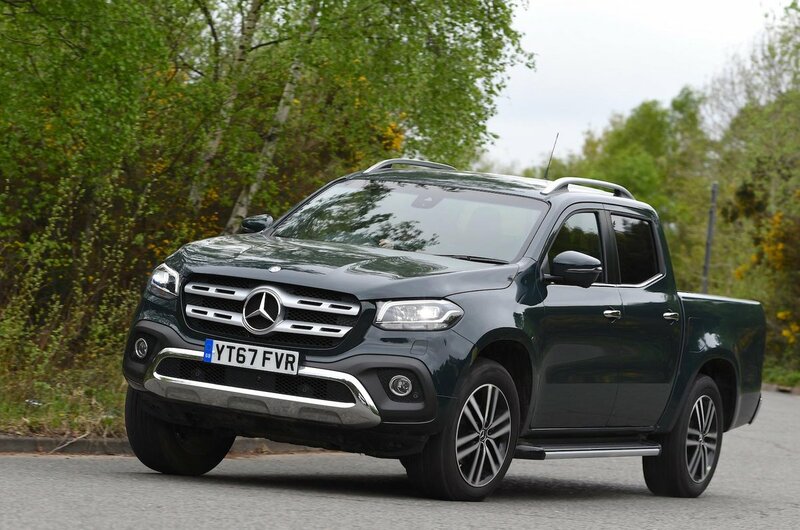 Unlike some of its rivals, the X-Class is only available with a five-seat cab. While this might alienate a few buyers who'd like to trade rear-seat space for load bay length, the vast majority of pick-ups in the UK are sold in this form. A couple of tall adults will have all the head room they need in the front. Another two adults will stay comfortable in the back on a long journey, too, with good head, leg and shoulder room, although the floor is slightly raised. Even so, rear space is very similar in size to that in the Nissan Navara and slightly bigger than the rear space in the five-seat Toyota Hilux. Behind is a load bay that, as standard, comes in open form, but can be specified with everything from a flat, lockable cover to a raised-box configuration. 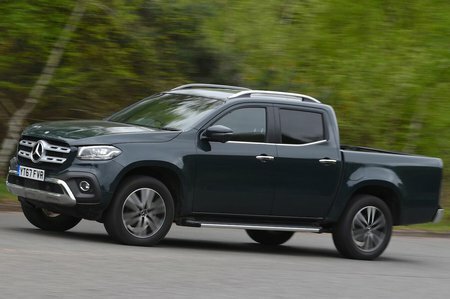 The 250d will take 1066kg, while the 220d will carry a slightly better 1087kg, which is comparable to rivals such as the Volkswagen Amarok and Ford Ranger. Like those rivals, it'll take a standard European pallet on board between its wheel arches with no complaints. A worthy contender in the pickup class, but no front-runner.